3. Summer Camp: We will be running our annual Summer Camp and we plan to run it the first three weeks of the vacation this year, as we finish school early. Camp will start the week of June 6. There will be a sign-up sheet coming soon, and we will run three weeks this time if there is enough interest in a third week. 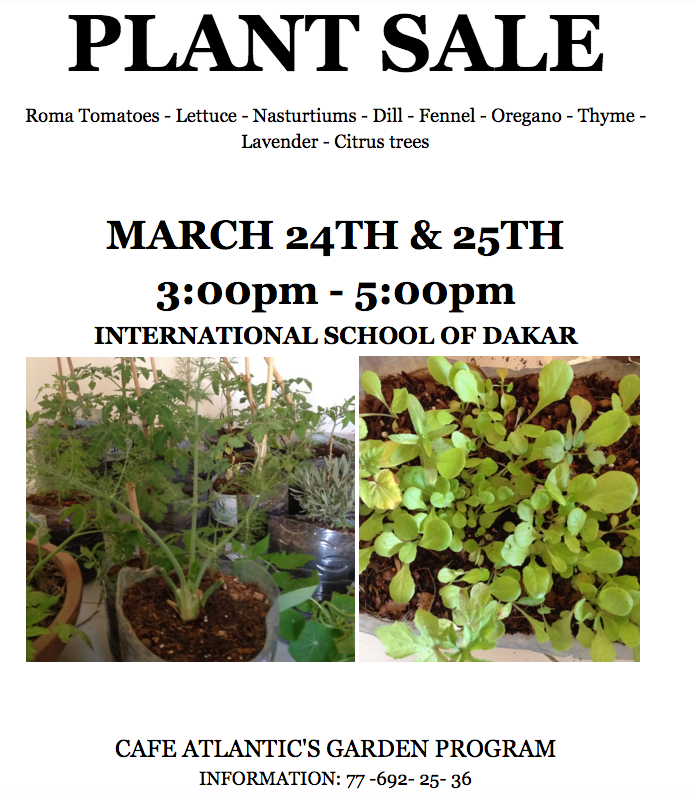 - APRIL 7 - APRIL 14 - SENEGAL ARTS WEEK Glass painting - sand painting - batik - recycling during art class. 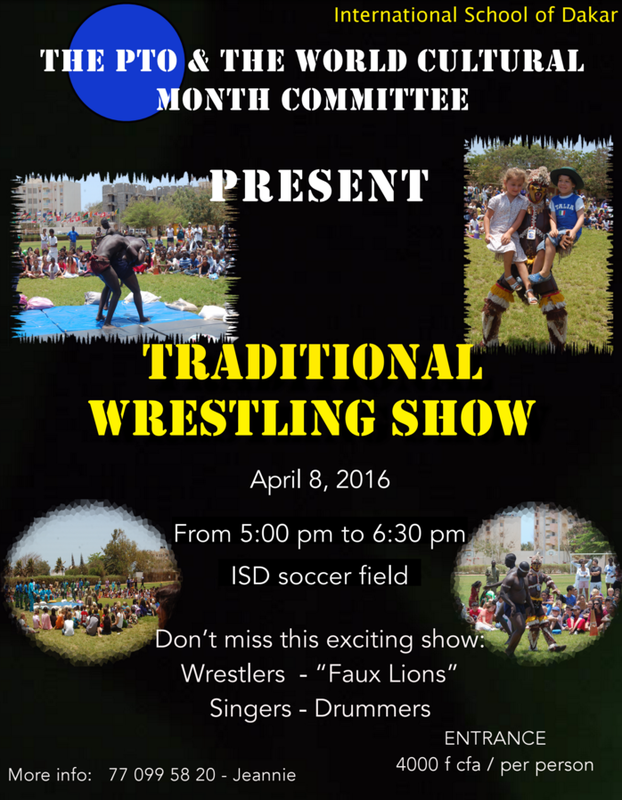 - APRIL 8 - WRESTLING EVENT Come to school for an evening's wrestling demonstration! - APRIL 12 - CULTURAL LUNCH & LOCAL OUTFIT DAY ISD sponsors the lunch for the elementary department. Students are encouraged to dress up in Senegalese wear. - APRIL 28 - BAZAAR (Day 1) - 9:00 am - 4:30 pm Local artists and artisans are invited on campus for your summer shopping. BOOTHS: Mr. Gaucher will soon be asking for volunteers to run country booths on the 29th April (gaucherk@faculty.isd.sn) - please speak with him if you are interested. We'd like to have over 20 this year! 8. Gr 2 French Trip: The second grade classes in the French Department took a field trip recently to the Senegalese military base located in Ouakam. The students had just finished a unit on cities, and during this unit we discussed train stations, ports, airports, etc. At the military base the students had the opportunity to see aircrafts, helicopters, etc. The field trip provided a hands-on component to their learning. They enjoyed their time there and they all had a great experience! 9. ES Musical Picnic: We were pleased to see so many of you at the annual Musical Picnic - it was a lot of entertaining fun!